IT’S hard to take a hard-bitten rock star who regularly hangs himself on stage too seriously when he tells you that he is still in love with Mary Whitehouse. But then this guy is unique – he is, after all, a rock star with a girl’s name – the amazing Alice Cooper! He has just turned 70 this year but there is no way that Alice is going to hang up his gallows – he is having far too much fun. Instead he is constantly touring, recording, writing new songs, acting and playing golf. On stage he is an explosion of gothic and horror music dynamite. Off stage he is a quietly-spoken guy with a great sense of humour, a love of art and an appreciation of Mary Whitehouse. “Life is all about learning,” he said. That’s another thing about Alice Cooper, you can never be quite sure whether or not he is joking. 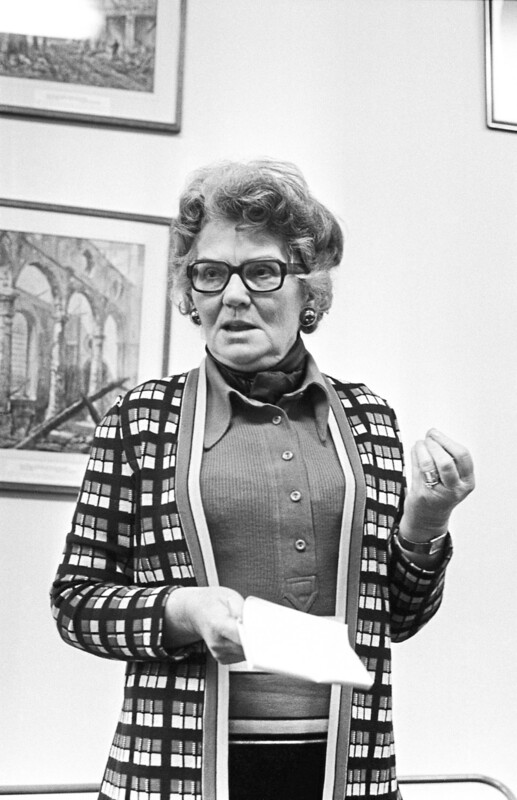 Mary Whitehouse is a TV legend of course, famous for complaining about the “falling standards of society” with entertainment and broadcasting among her prime targets. “She was great for me,” said Alice. “When my single Schools Out was released, she complained about the video and the whole ethos of the song. “She saw it is a very bad influence on young people rather than just a fun song and she complained so much to the BBC that they banned us. “The result was that we could not have had better publicity for the song and went to No 1 in the British charts. “It became an anthem and was being played in every pub, club and disco in the land. “You could not wish for better marketing and PR. I was so thrilled I sent her a thank-you note and a bouquet, and I still acknowledge the part she played in my career. 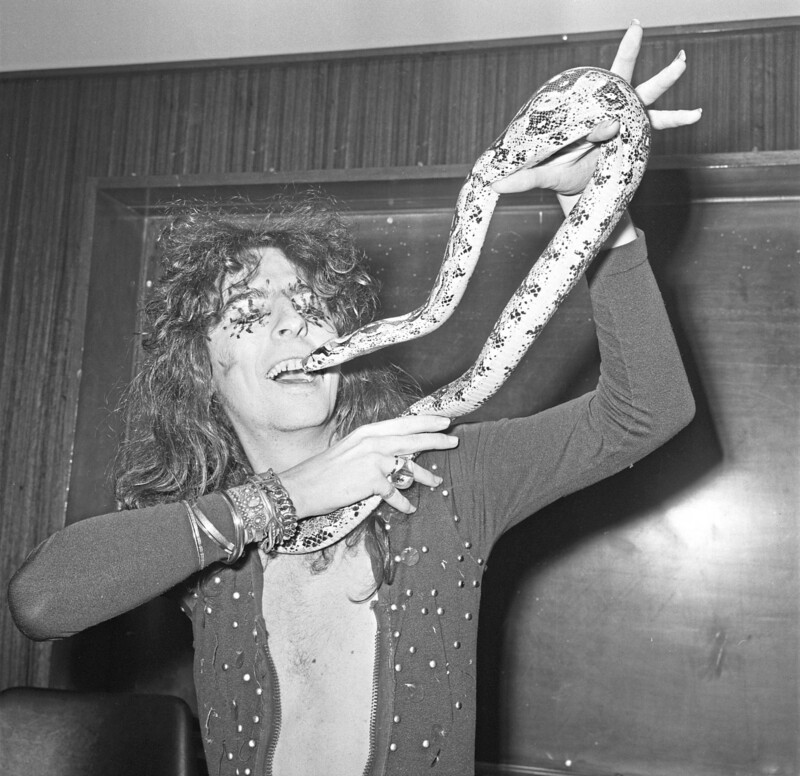 “Back in the States they heard about this and wondered what all the fuss was about – suddenly everyone was talking about Alice Cooper and we went from being an ordinary kind of band to something special. Alice Cooper is a thinking man. He was not always Alice Cooper of course. He began life as Vincent Damon Furnier, the son of a preacher and part of a family closely linked to the church. He said: “I consider myself to be a Christian, so none of what I have done has ever been as a kind of rebellion against the church or my parents or anything like that. “I got into music because I liked listening to it and wanted to play. Several of us had the same idea and when you are around 15 you want something else – girls. “Well, girls like bands so we decided to become a band and started out at talent shows doing Beatles impersonations. “We were very ordinary and certainly lacked something but none of us knew what it was. “One day it was sunny and I was at the shops. I saw a baby in a pram just staring into space. “Then the breeze moved this little silver hanging toy over the pram and with the sun shining on it the toy not only moved but also dazzled. “The baby became very excited about that and the more I watched it the more I realised that that was what was missing – we were not exciting enough. We needed to move and shine like that baby’s toy. “We decided to change our image and call ourselves Alice Cooper which was directly flying in the face of macho America at that time. It was the start of something big and all these years later Alice Cooper lives on very successfully, new generations discovering him and liking what they see and hear. “It became obvious to me that people took more notice of the unorthodox,” he said. “In Britain you had Screaming Lord Sutch who was a fantastic showman. He could sing – he wasn’t brilliant but he was good. “His strength was that he was a showman and you never knew what was going to happen on stage. “Some nights he would be carried on stage in a coffin, another night he would burst on the stage like the wild man of Borneo wearing just a leopard-skin or something. 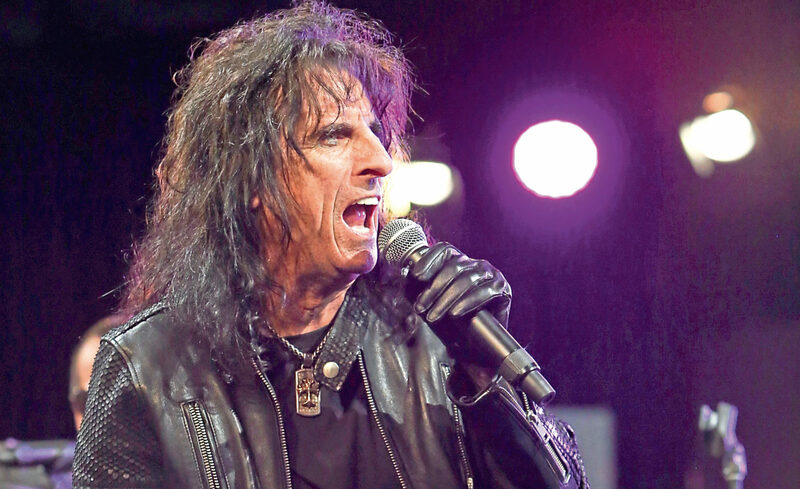 With strings of hits, sell-out concerts, awards, accolades for his acting work and more than four decades of fame, it might seem that Alice Cooper would have more than a passing interest in retirement but nothing could be further from the reality. “I’m 70 – the Rolling Stones are older than me and look at them – fantastic music and a fantastic live show,” said Alice. “I can never have too much time for golf – I love it. “I have a good handicap, win a few things and get involved in special tournaments, especially fundraisers for charities. “I cannot stop performing though. Why would I? It is my work, it is my life. I enjoy every show. “We have done a few crazy things on stage over the years. “On one of the UK tours the special rigging for the part at the end of the show when I hang myself went wrong and I very nearly did actually hang myself. “I was choking and I actually thought that this could be it – the end. I managed to break free, though, but it was a close call. “I still find all sorts of other horror effects, ideas and just fun things to keep audiences guessing and I love the challenge of winning over a large audience. Clearly it has been working all these years and it goes on working. Alice’s diary is full, mostly with shows in America but Britain is also on the horizon. Happily married for more than 40 years, Alice successfully beat his battle against alcohol addiction, helped by family, friends and golf. He is a deep thinker and smiles when people are shocked by his stage act. “Most people like it while some hate it,” he said. “It is sick in places but it is meant to be. That’s our show – our production. Shakespeare and all the other great writers and producers are sick at times. “If I was playing Macbeth I would hopefully get lots of praise from arty theatre critics. “ But I’m not – I am playing Alice Cooper. Some don’t see the fact that playing Macbeth and playing Alice have many similarities. To be Alice Cooper or not to be Alice Cooper – that is the question. I chose ‘to be’ and it has been fun and I hope to still be Alice for a long time in the future – unless I hang myself or blow myself up on stage.